For your visit to Gauteng, known as South Africa’s economic capital, you’ll be staying in the historical village of Irene. Here, your accommodation will be the enchanting African Pride Irene Country Lodge. As you approach the lodge, you’ll travel down a long and winding lane, lined with huge oak trees. The scenery is so pretty and peaceful that you’ll feel like you’ve left the city behind. With lakeside views so tranquil and serene, it’s hard to believe that the hustle and bustle of the city is only minutes away. If you choose not to venture into the city, there’s plenty to do within the village of Irene. It’s a village rich with South African History and is known for its art and culture roots, which you can learn more about at the local markets where there is plenty of art and culture on display. Just over the road from Irene Country Lodge lies Irene Farm. Why not visit the farm during your stay? You can meet the animals and visit the shop to pick up an array of delicacies fresh from the farm. 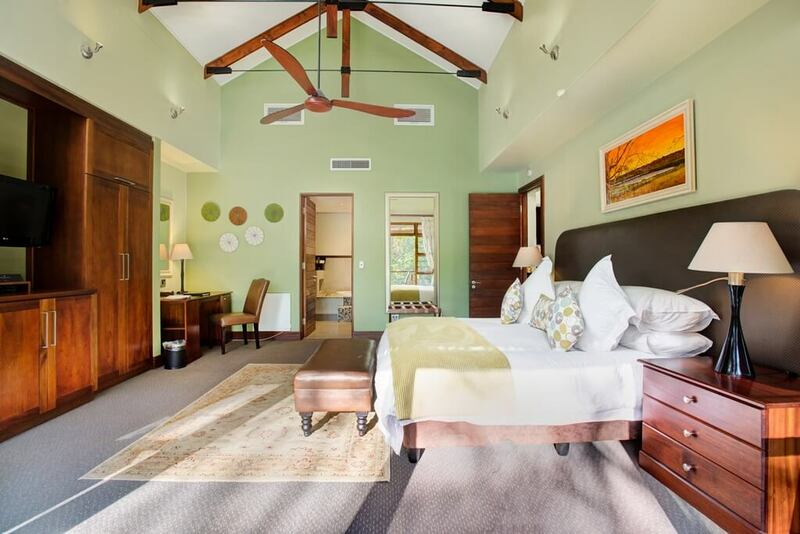 Each room at Irene Country Lodge is elegantly decorated with authentic African mahogany wood furniture, complemented by rich textured fabrics in earthy tones to create a warm ambience. The rural beauty of the surroundings is brilliantly reflected in the décor of each room, allowing you to enjoy the comforts of an old countryside manor with unique South African flavour. 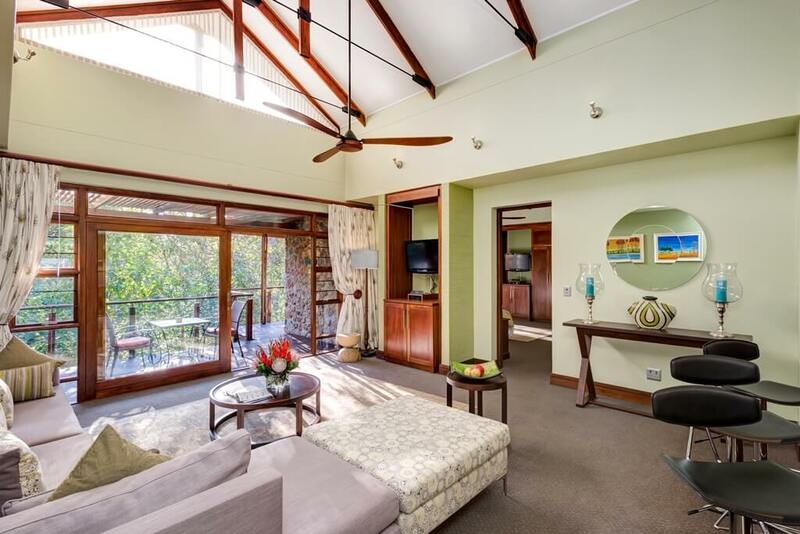 You can rest assured that you will have everything you need during your stay at Irene Country Lodge, as each room is equipped with air conditioning, an en-suite bathroom with a separate bath and shower, mini bar, safe, and complimentary tea and coffee making facilities. The only thing that could make your stay even more relaxing would be paying a visit to Irene Country Lodge’s Camdeboo Day Spa, where you can choose from an array of treatments and experience designed to help you unwind and feel completely refreshed for the next leg of your trip. It’s worth knowing that your hotel is famous for serving one of the best breakfasts in South Africa. 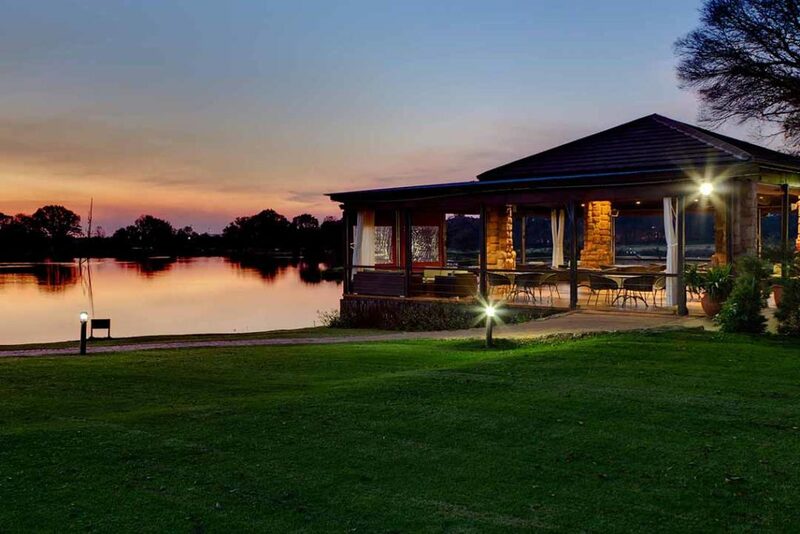 On selected evenings, the Meadow Green Restaurant hosts live music and entertainment. Also on selected evenings, the Chef will prepare your meal right before your eyes at his interactive station, which really is a treat for all your senses. If you book a table at the Meadow Green Restaurant, keep an eye out for the Vinoteque walk-in wine cellar too – you can spend a little time exploring and choosing the exact bottle you’d like to try.